Russian opposition has held a rally sanctioned by authorities, the so-called Day of Rage, on Moscow’s central Theater Square, protesting against the socio-economic policy pursued by the government. ­After a brisk official protest at the square that was permitted by the authorities, the protesters attempted to proceed to the Presidential Administration, despite police warnings of administrative arrests. As a result, 14 people – including one of the organizers of the gathering Sergey Udaltsov – were detained. “After the rally – without flags and transparent – we planned to go to the administration building, which was not a procession. No pogroms were planned. 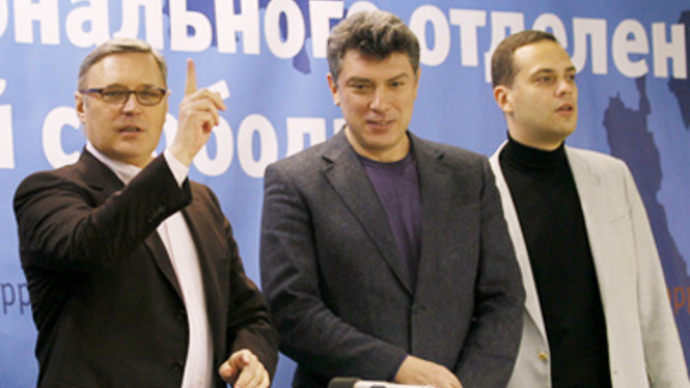 We simply wanted to hand over our demands and proposals,” Udaltsov, the head of the Left Front, told RIA Novosti by phone. But, he went on, riot police reacted rather “harshly” and detained him and several other protesters. 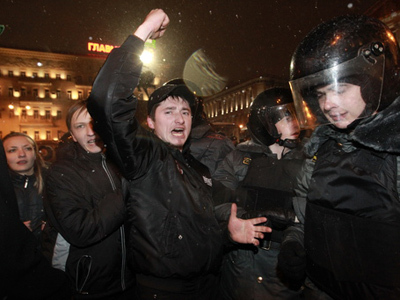 Still, a group protesters from “Cheated equity holders” managed to make it through police and pass their appeal to the presidential administration, reports Interfax. The movement is mainly comprised of future homeowners who financed the construction of apartment buildings, but, years on, for one reason or another are still waiting to get their new flats. They demand that the government brings order to the situation. ­Earlier on Saturday, about 300 people gathered on the square , not far from the Kremlin, to demand social justice, changes in electoral system, more efficient migration policy, saving the Khimki Forest, and bringing criminal charges against former Moscow Mayor Yury Luzhkov and other members of his team. The protesters’ main slogans were “It’s time to change power! Time to change course!”, “No to price and tariff escalation!”, “Stop eliminating science, medicine and education”. The Day of Rage organizers also demanded that they have a meeting with the country’s leadership within a month to discuss initiatives proposed by the protesters. The protesters had black balloons, symbolizing Black Spots, which they released into sky as a sign of their distrust of the government’s current course. Police beefed up security measures to prevent all protest actions that were not previously agreed with the city authorities. This has become the first Day of Rage in about a year that managed to obtain official permission – all previous opposition attempts to hold a gathering were banned and their rallies were dispersed by police.Sergey Udaltsov, co-coordinator of the Left Front movement and one of the organizers of the meeting, said that they initially planned to hold a 500-strong rally, but authorities agreed to allow 300, which is the maximum for the square, just near the State Duma. RIA Novosti cited him as saying. 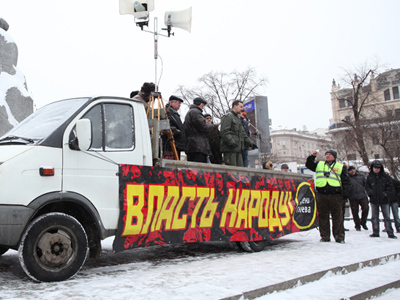 The organizers of the protest rally – social movements Moscow Council, Save Khimki Forest, Housing Solidarity and other opposition, human rights and environmental groups – called on participants to bring so-called Black Spots: any black-colored items that would symbolize their distrust to socio-economic policy in the country. The Black Spot idea has its roots in the novel Treasure Island by Robert Lewis Stevenson, in which pirates were given it as a sign of being recognized guilty by other pirates. 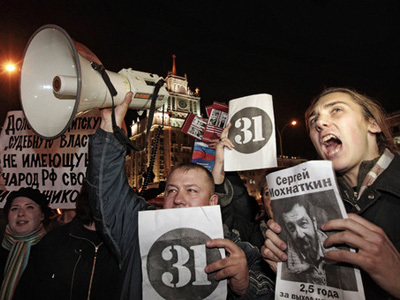 After the meeting on Theater Square, the protesters planned to bring their Black Spots to the Presidential Administration. That scenario, however, was not welcomed by the authorities and was banned. 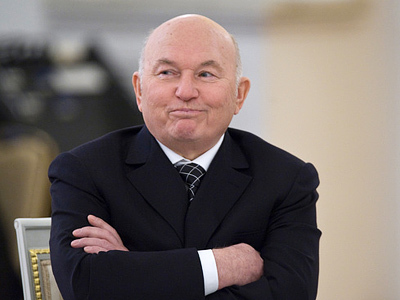 Earlier, the rally organizers invited ex-Mayor Luzhkov to come to the square. When in office, he repeatedly banned such gatherings from being held in Moscow. “We invite Yury Luzhkov to join the Day of Rage on February 12 and present evidence of his innocence, as well as tell about law breaches by the federal government he is informed of. 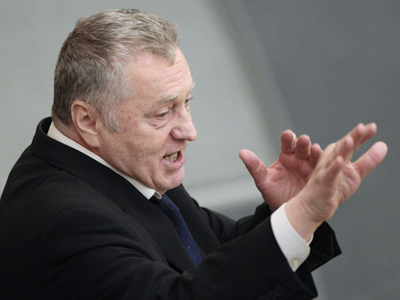 If he does not have such evidence we suggest that he publicly admit his guilt,” Sergey Udaltsov said. The invitation, however, was not accepted. On February 12, as part of the Day of Wrath, similar protest rallies will be held in 20 Russian cities, including St. Petersburg, Krasnoyarsk and Rostov-on-Don.